SO CUTE! 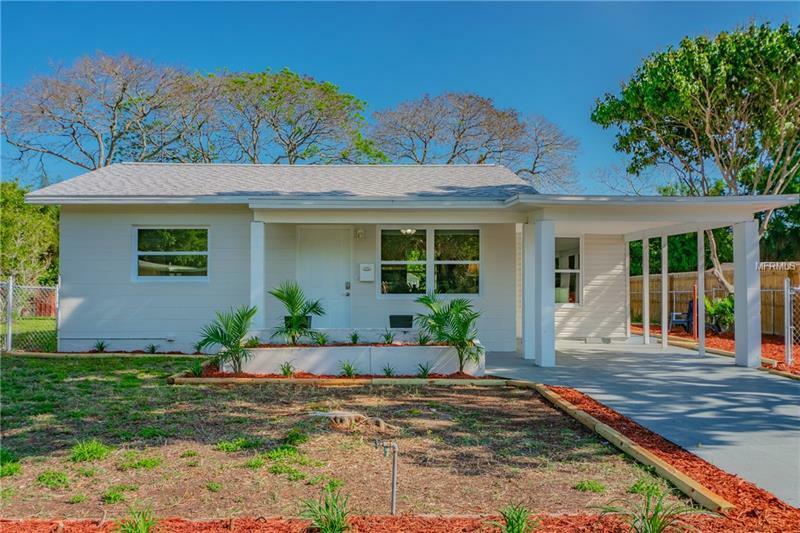 Completely REMODELED Home with permits! 2019 New roof CHA and windows! Immediately you are greeted with a fantastic open floor concept living layout stunning new floors and new large baseboard MOLDING installed throughout. The beautiful brand NEW Kitchen is updated with shaker soft-close cabinetry granite counter tops new stainless steel appliances and topped with a gooseneck faucet. The stunning French double doors in the dining room open to an outdoor sitting area perfect for enjoying your cup of coffee or tea. The gorgeous bathroom has also been upgraded with walk-in shower accent mosaic tile inlays new cabinets tile floors and modern chrome fixtures. There are plenty of windows letting in tons of natural LIGHT making your home feel wide open and bright. Big back yard is perfect for entertaining barbecues and enjoying time with your friends and family. Located a few blocks from 4th Street and close to popular eateries and diners and foodies favorites. Your new home is located within 20 minutes of Gulf BEACHES Interstate US 19 the airport Downtown St. Pete Rays BASEBALL Shopping malls and Restaurants. Hurry! Your new HOME is waiting for you! Come see it now! Up to $10000 DOWN PAYMENT assistance available subject to credit score and income limit qualification.